Hi Olivia - Let's hear some construction noise! Happy New Year, Olivia. How was your trip to Rancho Ravioli? Got my New Ears ready! I think there's a WFMU DJ who collects Blue Moon covers? Jesse Jarnow maybe? Hello everyone. Welcome back, Olivia! Who did the art, Olivia? Listening to Radio Ravioli from my Ovoid Air Lair. I'm cooking ravioli while listening to Radio Ravioli - it's a good afternoon! This is full of Woo! Afternoon! Is this the first known ancestor to the mash-up? 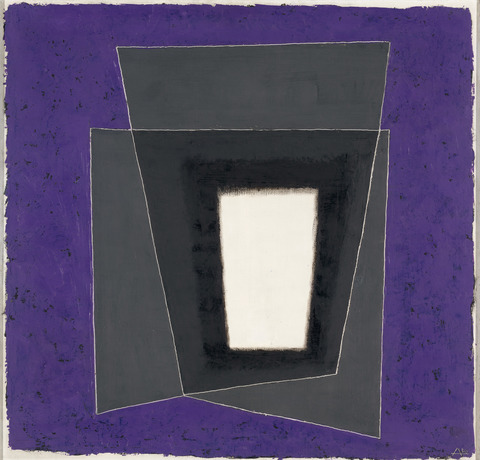 I had a painting professore at Syracuse U who taught from a Josef Albers book. It was theory of color class. You shouldn't miss the Atomic Meta Pagans Blue Moon, although it's a little more on the Vocal Fry side of WFMU audio. Loving the sonic textures you are creating Olivia! @fred: I may be broke, but I keep on getting into clubs even if I'm not wearing the dress code. (I just dress a little different, sometimes). (usually won't step foot in clubs w/ dress codes, but if it's an artist I must see, or I'm stuck w/ my bros. or other friends, I make exceptions). (also, when going to Latin clubs, speaking espanol comes in handy). Hopefully nothing non-FCC friendly gets broadcast. you know it would be neat if we all followed each other on bandcamp. this track slaps. what is it? Miking the studio construction and mixing it into the music is some next-level WFMUing. Bravo! Is this that 'Drill' music I keep hearing of? I agree with The Oscar. Keep up the great DJing, Olivia! hi, Olivia and folks. images in my head alternate from blenders to reciprocating saws. like. @chris: any marbles in these blenders? A friend of mine mic’d up my shop and used it in a piece but this is Live! Too cool. I'd like to hear a coffee and smoke break soon. I need to hear what Pad Phet Basil sounds like. Back in a while. $mall ¢hange filling in for Fabio today. nice! I trust SMK has a special hard hat for the occasion? If only "This Old House" had such a great soundtrack. Thanks Olivia! Damn, I missed the construction noise. But not the emergency alert system! Really enjoying the sounds today; also, Olivia, you should give a playlist formatting seminar. Looks really good. I love how the table borders match the background. @steveo, yes. plus that Albers image is beautiful. hey everybody! man the whole show's gone by and i haven't said anything here yet. thanks for commenting! and thanks steveo and michael.., agreed the albers painting is so beautiful! i am obsessed with him and his color philosophy. sorta wanna rip this one off for this year's premium cover, but not sure if i'll be able to pull it off. !! How do we know that's actually construction rather than the song of a lyrebird? When my office door is open, I hear the sounds from our production department; printing presses and laminating machines. digging this Kim Myhr track, very much so. Were Lyrebirds the first meme generators? Annihilating? Is that a contractor's term? yikes. sights like that make me nervous. email olivia@wfmu.org if you wanna win a pair of tickets to see mdou moctar tomorrow night at babys all right! @Michael 98145: Yeah, I remember the feeling of cutting a 12-inch hole in my roof to install a range hood. First time listening to your program, and I'm digging every minute! Thank you! You rule, Olivia! I looooooove X and this song too. so... THIS is the new world huh? I hope there's more construction next week!